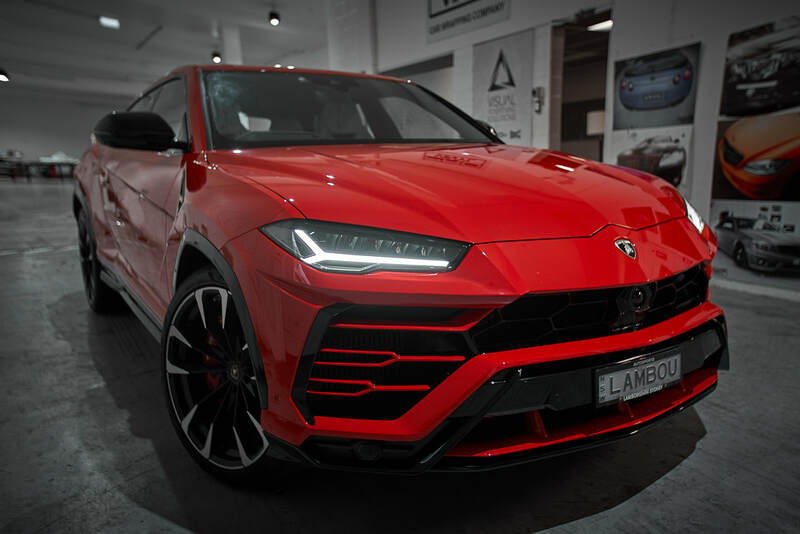 Lamborghini Urus fully wrapped in paint protection film. 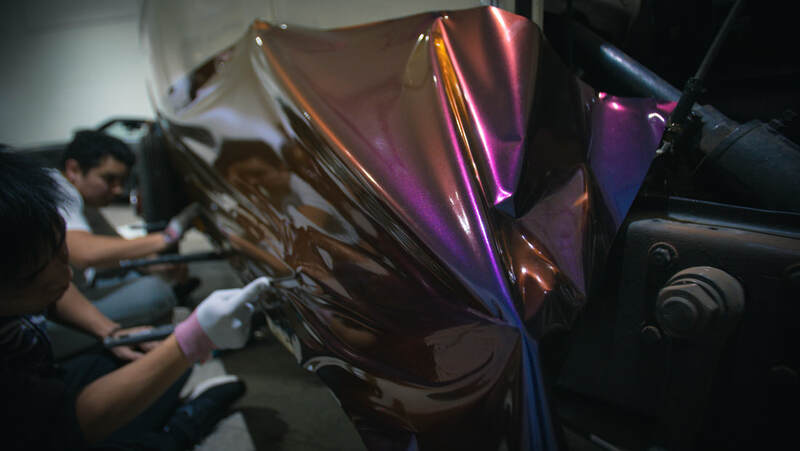 As we all know there is no alternative to paint protection film. 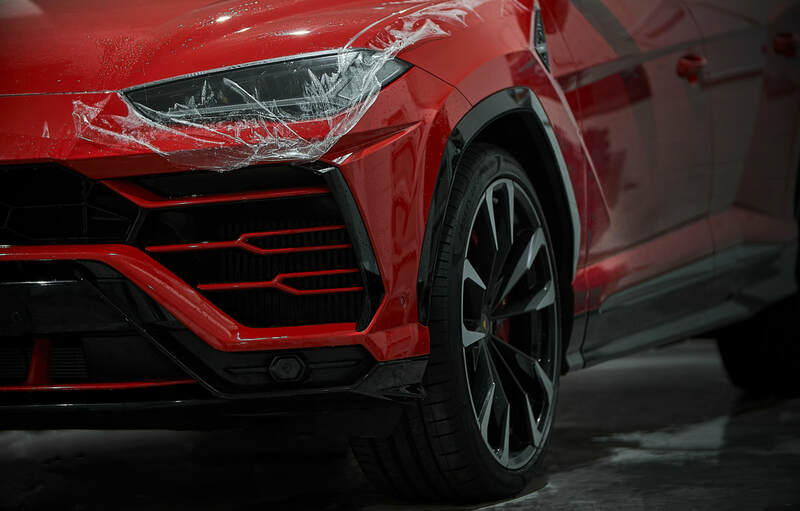 Here is brand new Lamborghini Urus wrapped in paint protection film. Studebaker President - Charlie and The Chocolate factory. Charlie and the chocolate factory the music has hit Sydney, so obviously, it was key to promote it in a way that really grabbed attention. 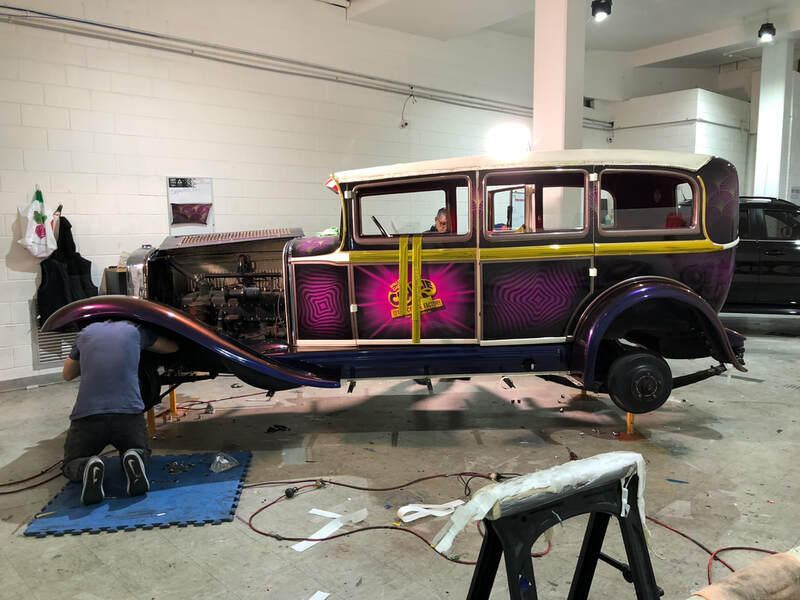 The old Studebaker President was chosen to be the ultimate marketing tool, transforming a rare, classic care, into a fully transportable marketing campaign. 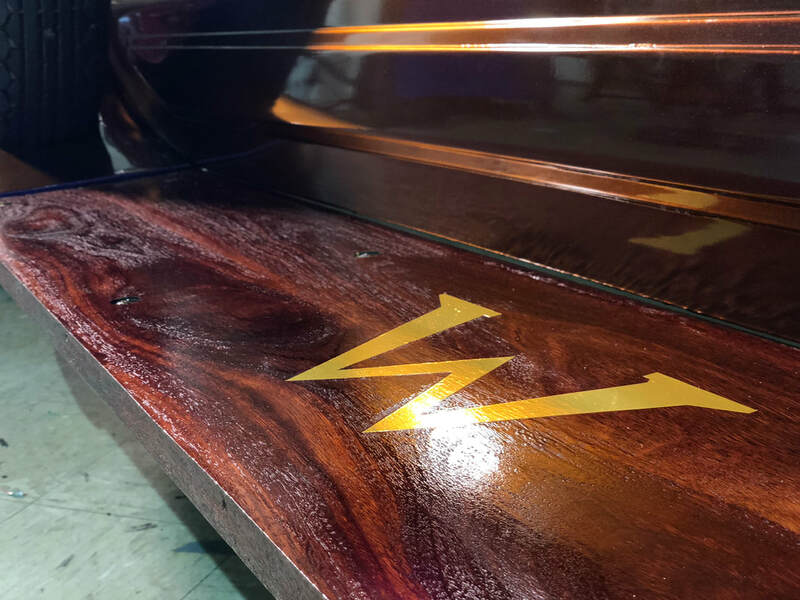 Full design and installation was done by us, with the use of metallic purples, golds and white vinyls to accentuate the vehicle. 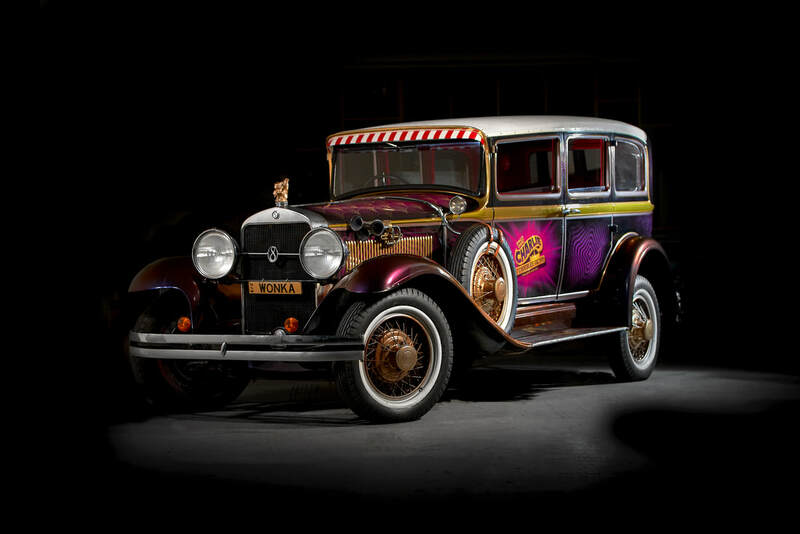 Certain elements, such as the repurposed wooden running boards, freshen up the roof vinyl, gold squirrel ornament and white wall tyres complimented the retro, but modern flare of the vehicle, which is now used as the ultimate expression of unique design and style. 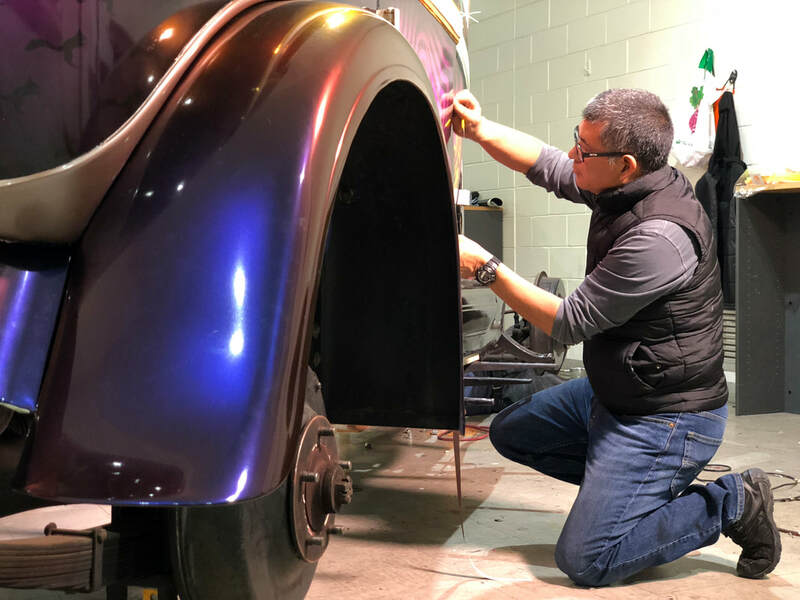 The vehicle was challenging to work on, like many vintage vehicles, with various parts needing to be delicately disassembled. 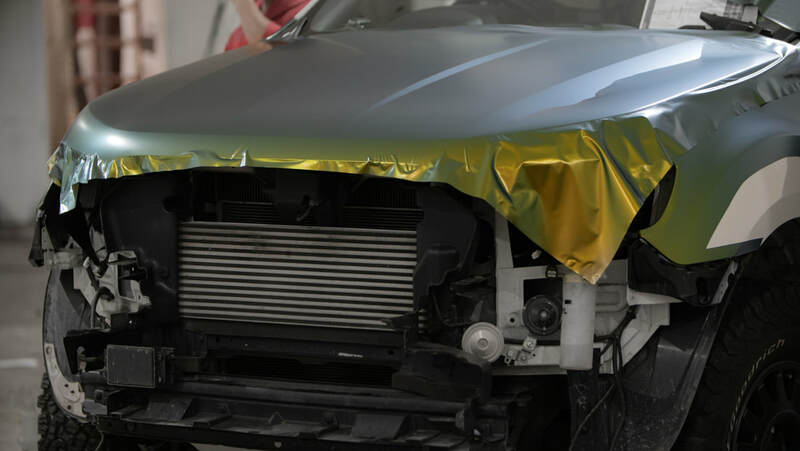 They were also delicate in regards to the wrapping process, with the paintwork not being in the best condition. 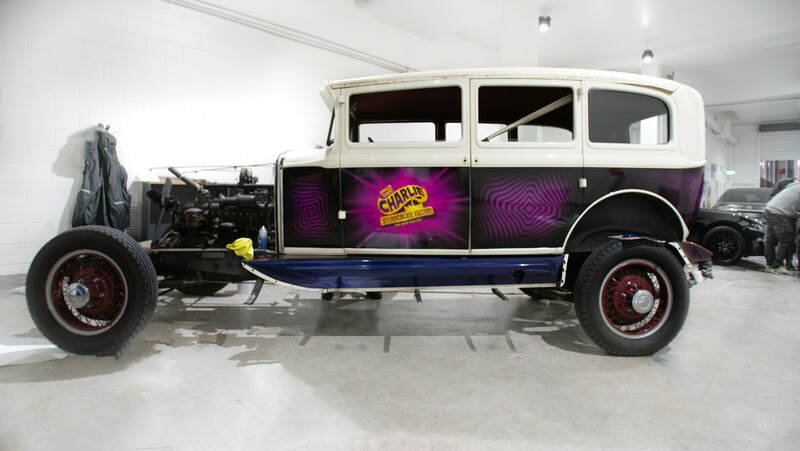 Eventually the vehicle was transformed from an old classic into one of the most portable and publicly viewed marketing campaigns, at a fraction of the cost. 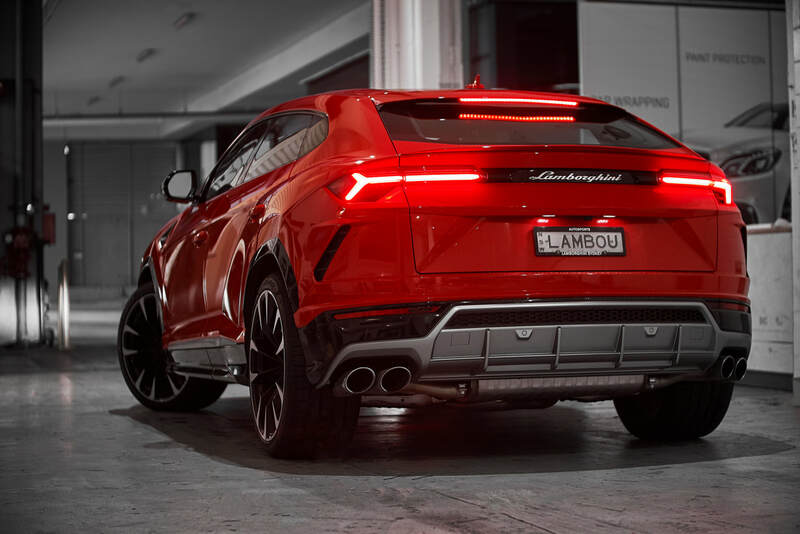 First Lamborghini Urus In Sydney. 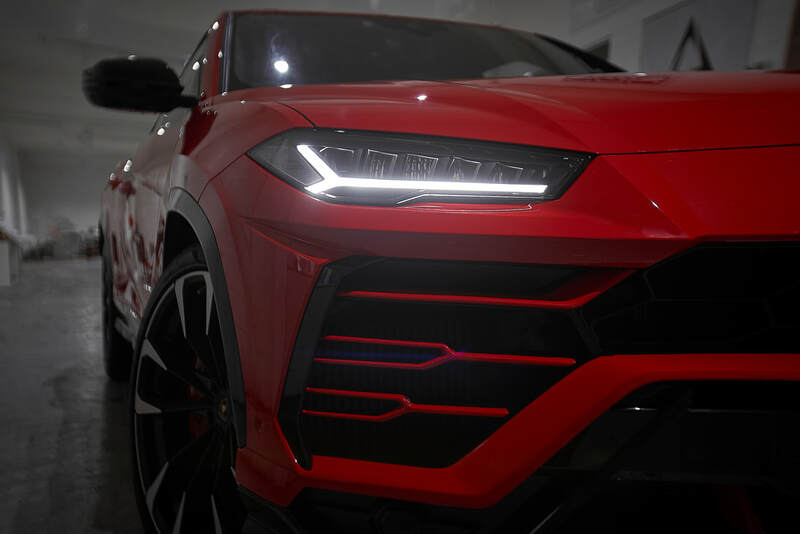 More pictures of the Lamborghini Urus. 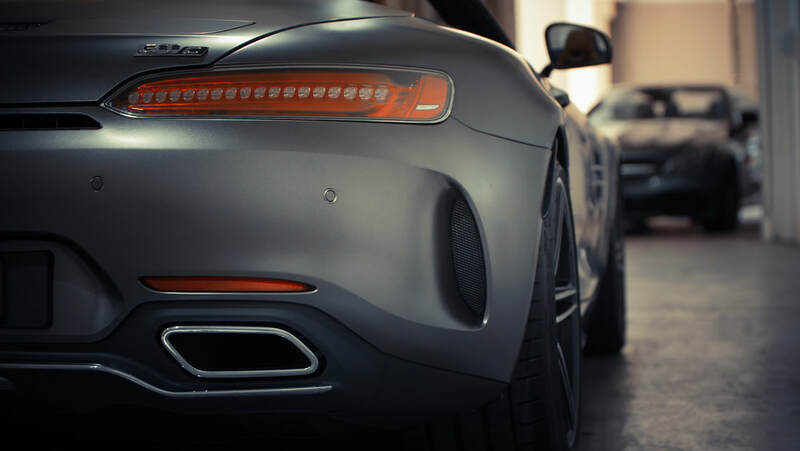 Pain protection is the number 1 solution for stopping stone chips and scratches, perfect for those wishing to protect and preserve their paintwork. Enjoy these snaps we took. 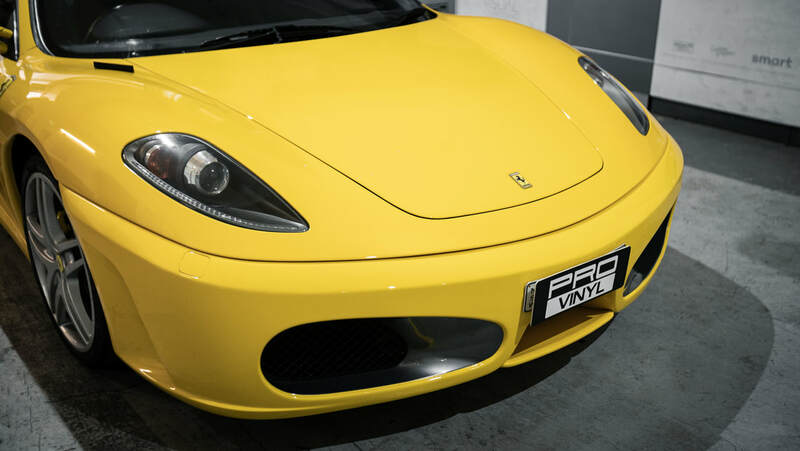 Call us up for more information about the highest quality paint protection film, only available at PROVinyl. 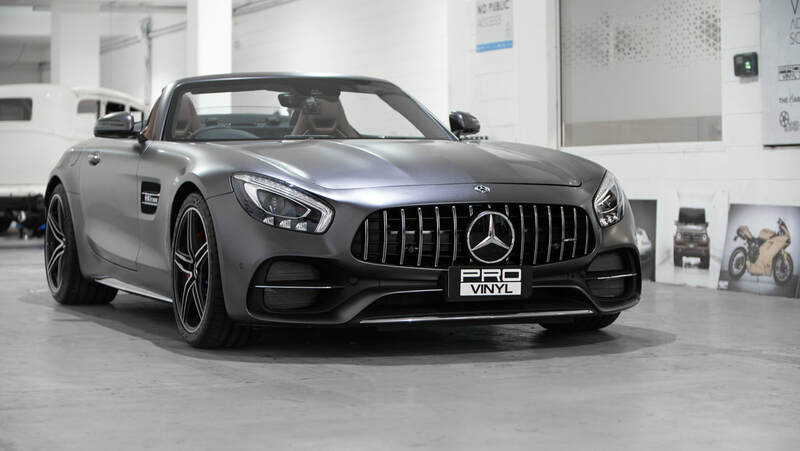 Mercedes GT-C undergoes a complete colour change to transform it into a stealthy looking speed machine, thanks to a complete wrap in a satin black vinyl wrap. 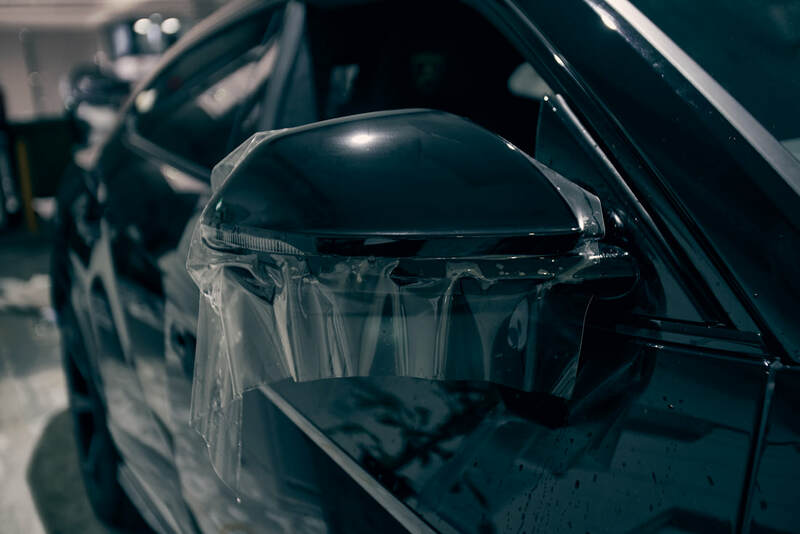 This transformation was completed by removing certain bodypanels, taking extra care with them since a majority was made of carbon fibre, and wrapping them by hand, ensuring a flawless, smooth finish. This ford ranger was brought in to have a custom, unique, full colour change done to. 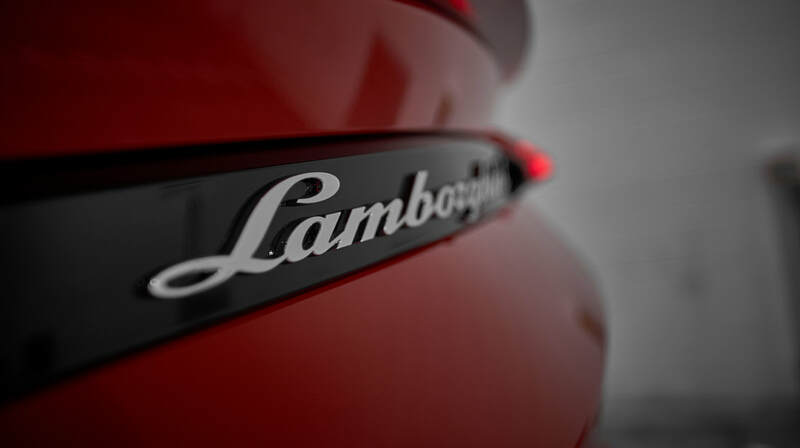 We took extra care with the vehicle since it had a custom off-roading equipment. 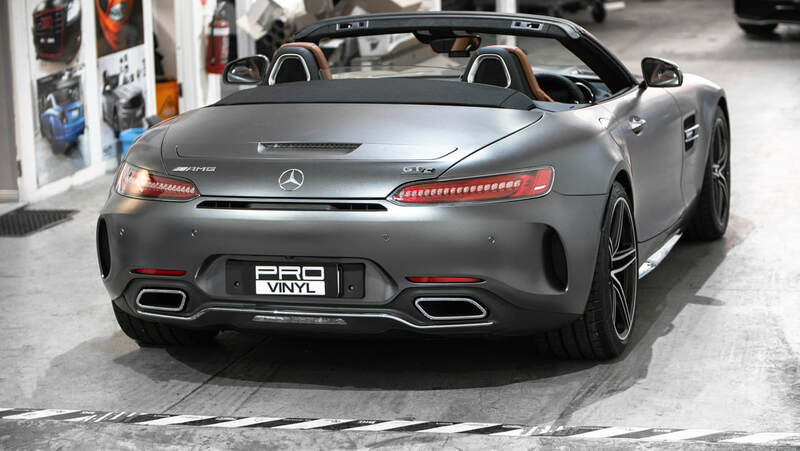 After removing the body panels, we carefully wrapped each element in this unique Fresh Spring Gold/Silver vinyl from the ColorFlow Series by Avery Dennison. 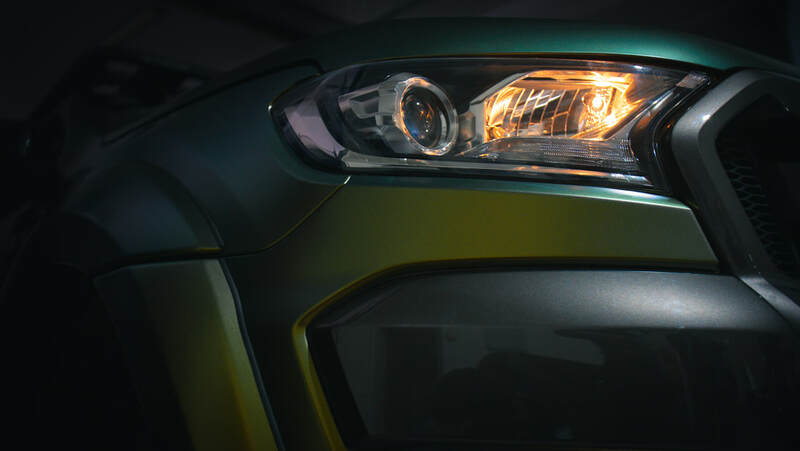 This full vinyl wrap was done to give the Ranger an off-road, wilderness vibe. A rare site indeed! 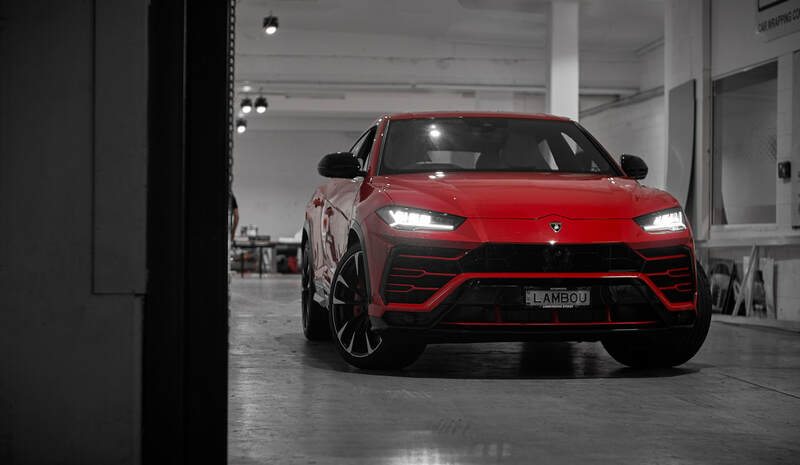 A recent drop off to our workshop was this rare, limited edition Lamborghini Huracan Performante. 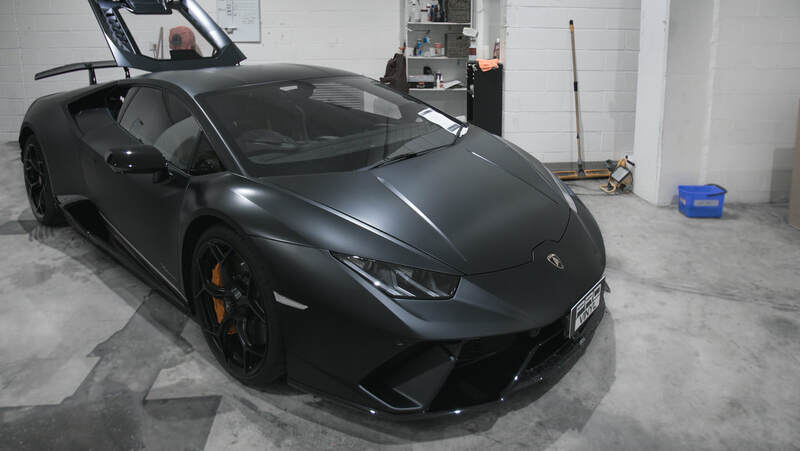 This $483,866 supercar flew into our doors to get a custom matte black wrap. This truly looks menacing. 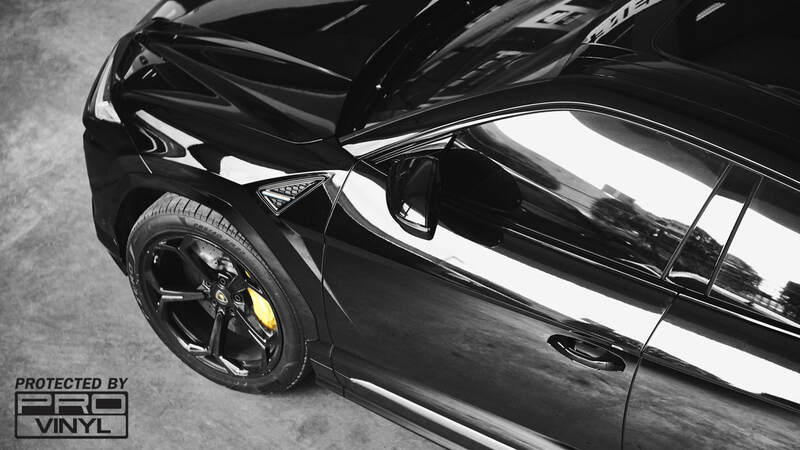 Custom vinyl wrapping was the first choice for the lucky owner of this car, who will remain anonymous. 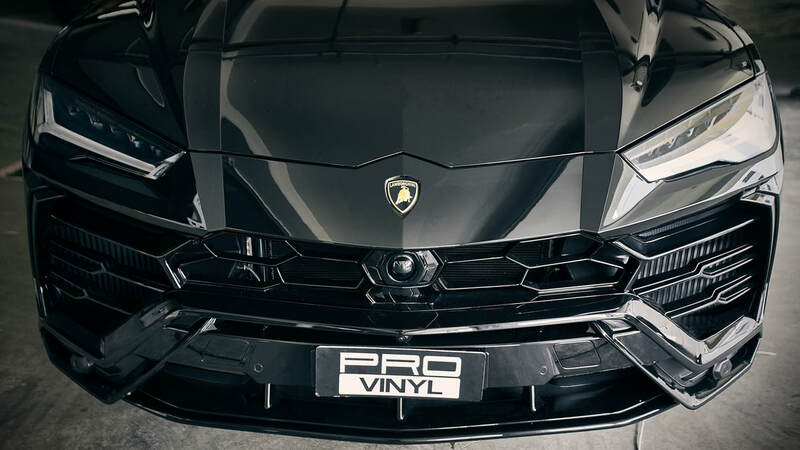 We started by removing the delicate, carbon fibre body panels (with extreme care), before hand wrapping the panels in custom matte black vinyl wrap. 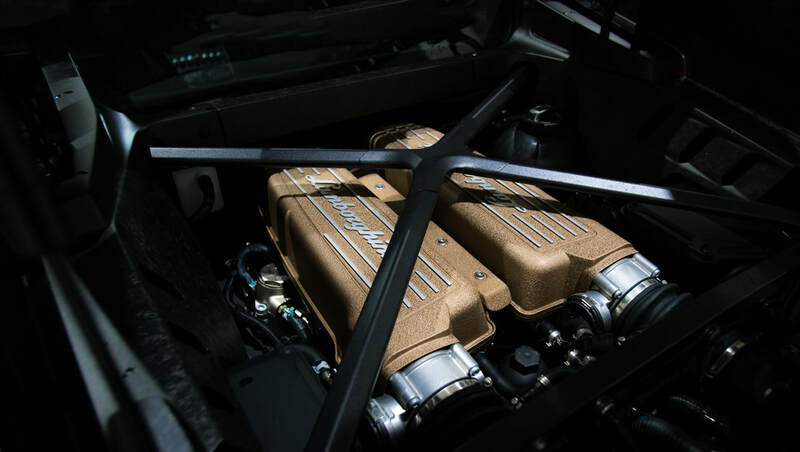 We took extreme care with this incredibly rare supercar. 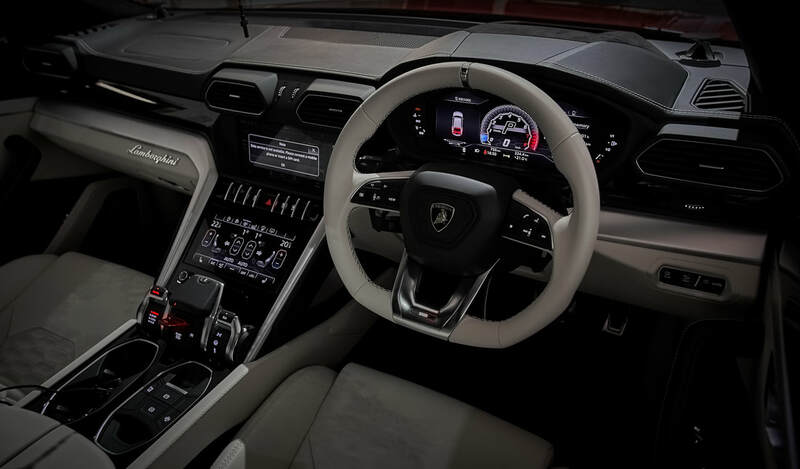 The Performante edition of the Lamborghini Huracan feautres Lamborghini's unique, revolutionary ALA (Aerodinamica Lamborghini Attiva) which is a revolutionary new air management system, that actively changes and conturs air flow around the vehicle, constantly, and varying based on speed and cornering force. 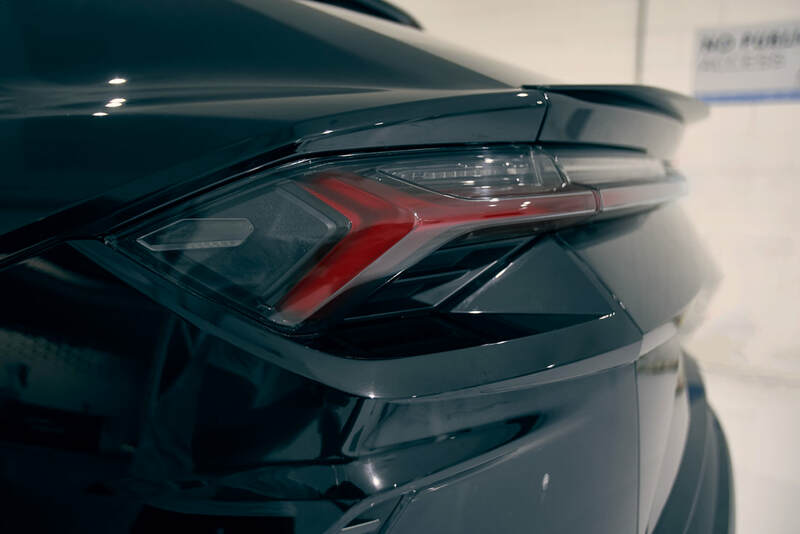 The most ingenious air management system ever developed by Lamborghini, it can actively produce downforce when going around a corner, which can help if maintain high speed without sacrificing traction, which resulted in the Huracan Performante setting a lap record around the Nurburgring of 6:52:01. 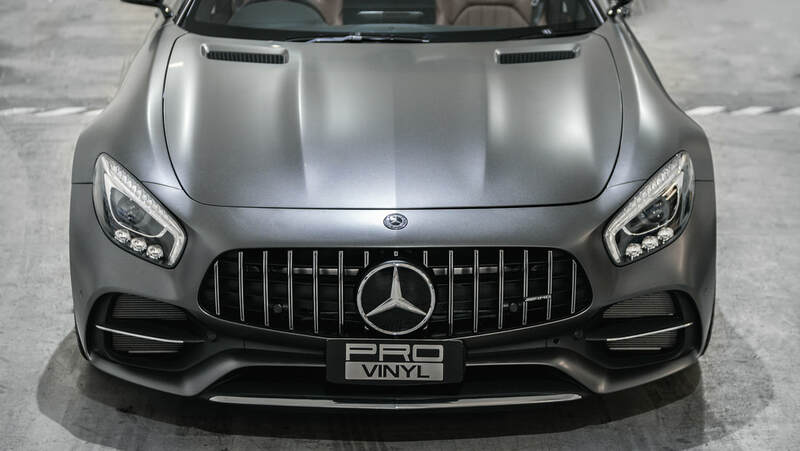 This astonishing car will no doubt make it's presence known on the streets of Sydney, with it's low stance and mean custom vinyl car wrap.